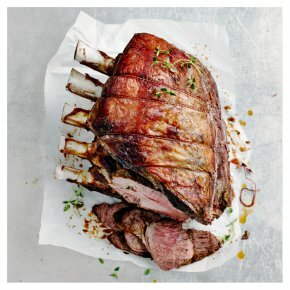 Highland bone-in rib of beef is naturally fine-grained with a marbled texture that ensures flavour and tenderness. Specially sourced for Christmas, Highland cattle are typically smaller in stature and slower to mature. Highland beef is produced on known farms from cattle bred from registered pedigree Highland bulls.